where in currently i am not having any mobile service created. I’ll go ahead and create this link as shown below and create new mobile service. Now, let’s go ahead and explore the service. 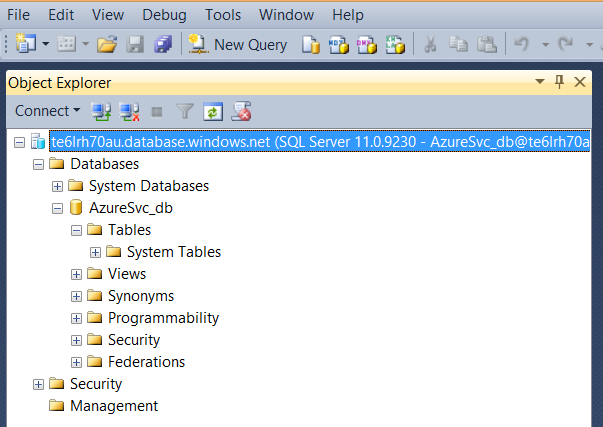 So, here a framework has been installed on the IIS server hosted on windows azure which connects to the backend server. This provided REST based endpoints which means by using this REST endpoint we can perform some operation. 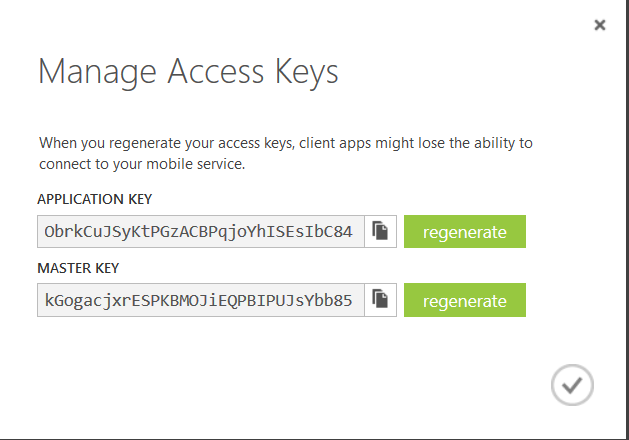 As you can see below in the screen shot, our service is created and with manage keys option i can go ahead and off-course and associate key with this service. Now, let’s have a look at the dashboard for the service. 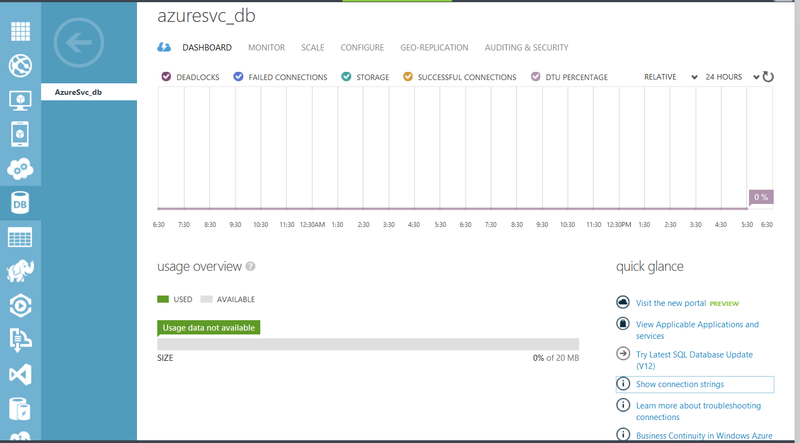 This is essentially a very usual dashboard we have used earlier with Azure. we’ll be exploring more this dashboard later. 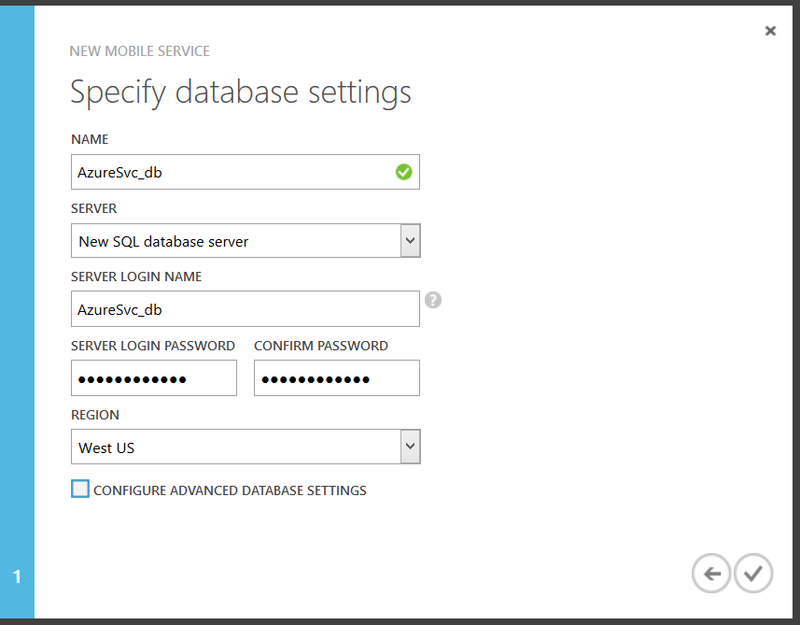 But, for now let’s look at the DB section which is also created with this service. Now, let’s look at the dashboard of the db server. Here, you can get all the performance related parameters and also connection string for connecting to the database. 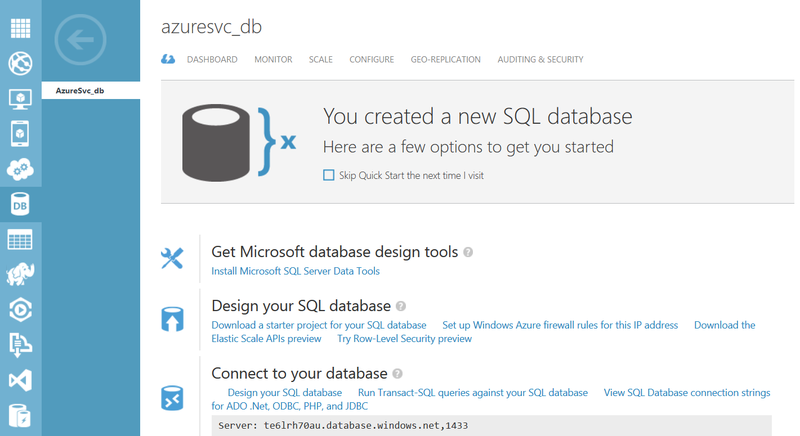 Now, let’s open SQL Server management studio and connect to the database what we created in Azure. 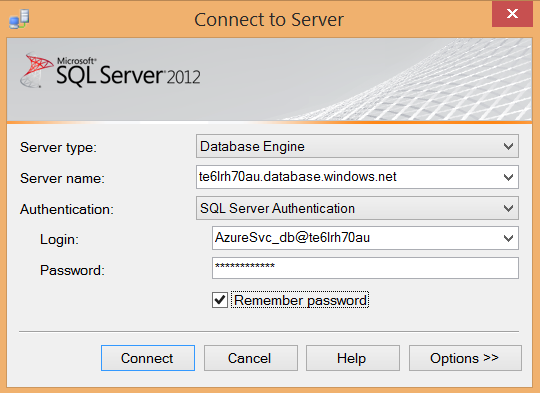 However, while connecting to the azure portal via SSMS; firewall may obstruct connection to happen as shown below. 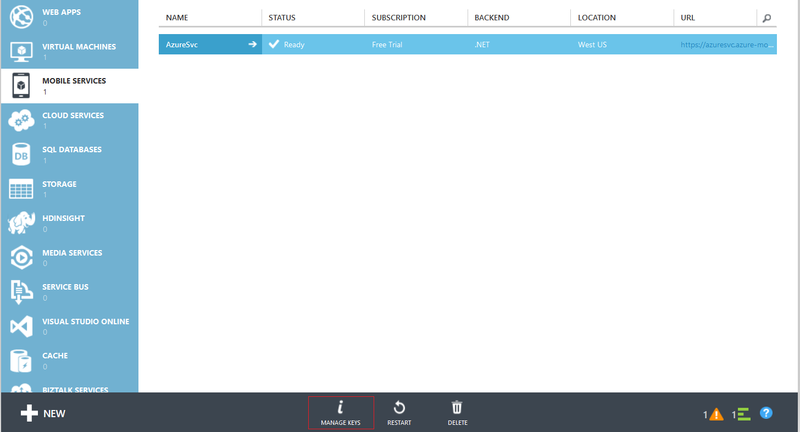 In order to fix the same, you can go back to the azure portal click on manage server and include your IP in the trusted IP List. As you can see below in the screen shot, currently no table is created here. you can also login online SSL management portal. 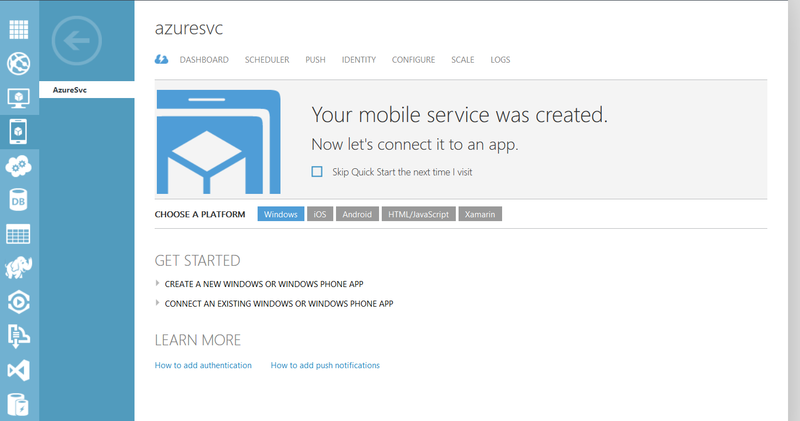 Now, let’s go to mobile service dashboard and click on windows project as shown below and then download the starter app. With this i would like to wrap this session. 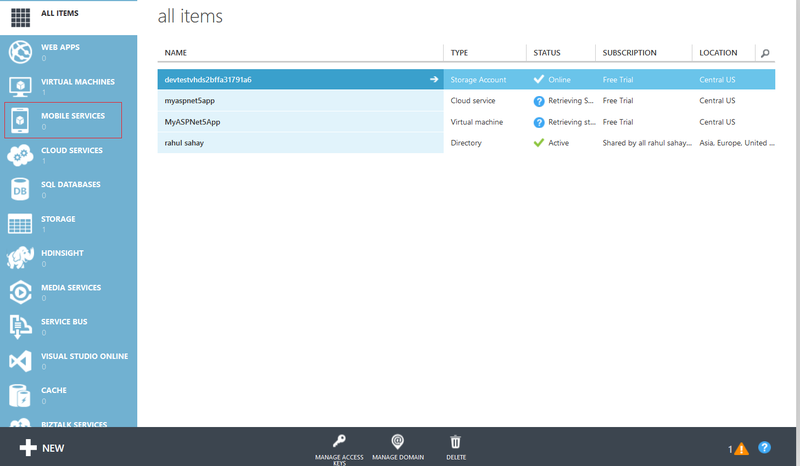 In the next session, we’ll explore the app which we have downloaded from Azure and will do some really cool stuff with that. Till then stay tuned and Happy Coding. 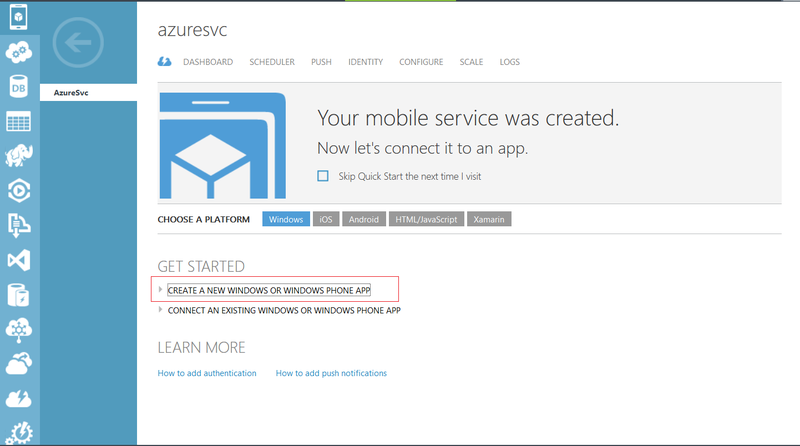 This entry was posted in Azure, Azure Mobile Service, Windows 10, Windows APP and tagged Azure, Azure Mobile Service, Windows 10, Windows APP. Bookmark the permalink. Nice to see your post. 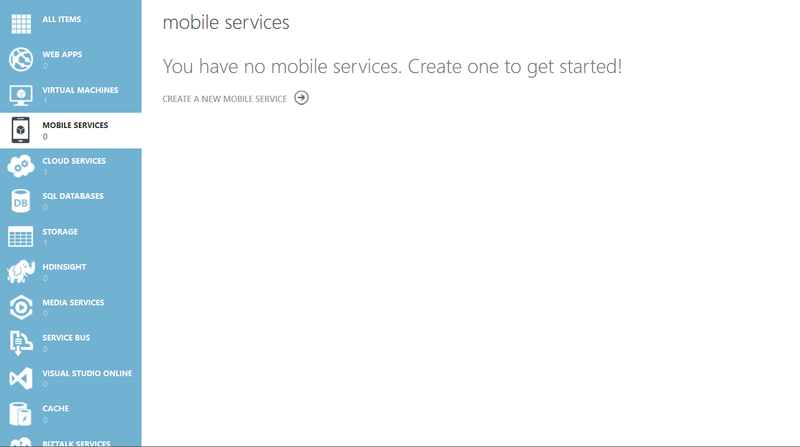 Just a query why Mobile services, we can use REST services in Mobile app, then why we need to create Mobile Services. 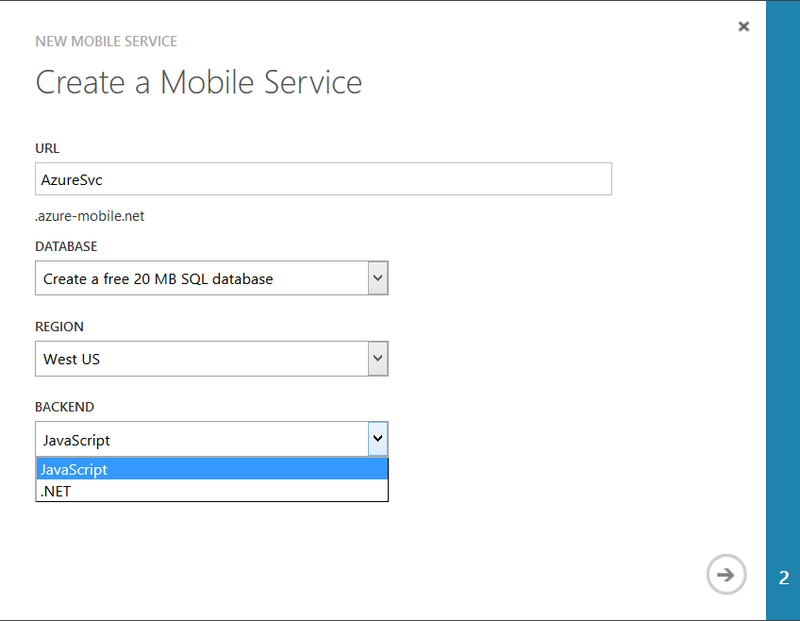 Like if I have WEBAPI I can use same in my Mobile APP?